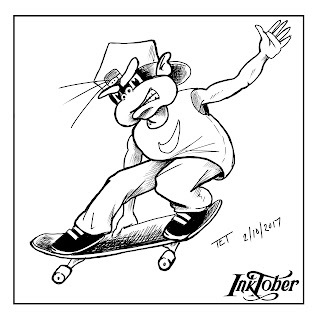 My day 2 InkTober drawing. 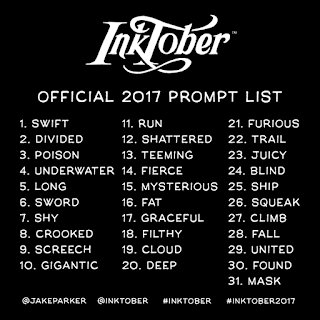 This year I've decided to participate in InkTober. 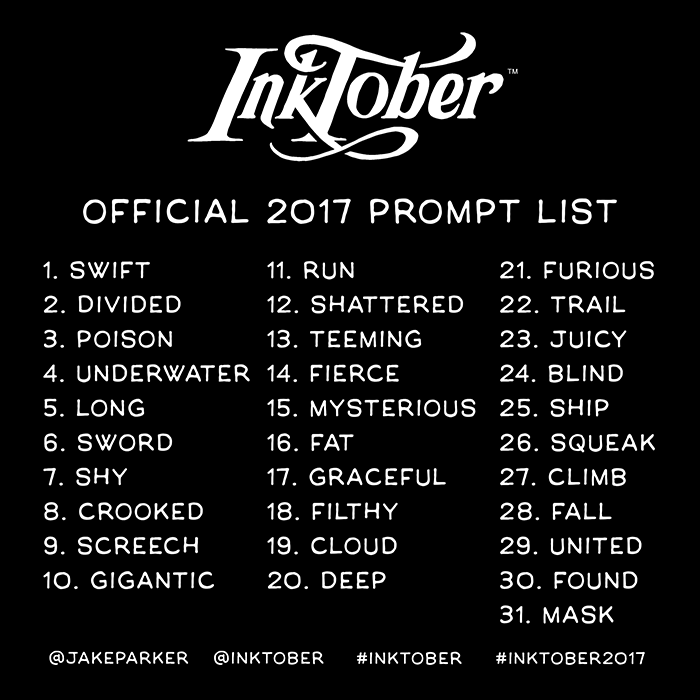 If you haven't heard of it, InkTober began in 2009 and is a 31 day art challenge to draw one ink drawing everyday in October. 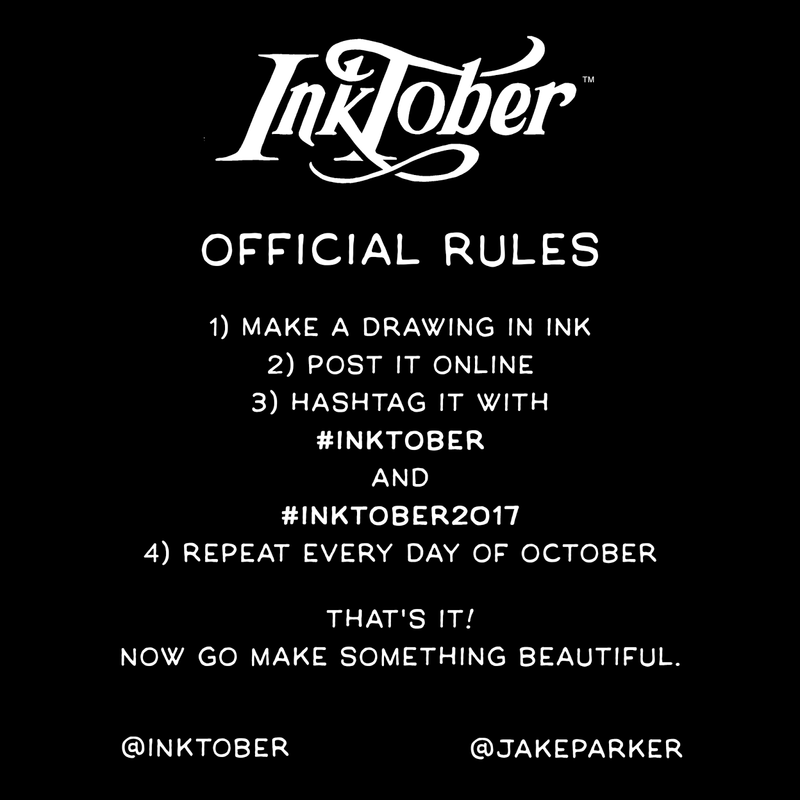 Challenge creator and professional illustrator, Jake Parker, started the event as a way to improve his traditional inking skills and it just grew from there. There's no prize at the end, it's just a personal challenge to get you drawing daily and hopefully improve your own inking skills in the process. 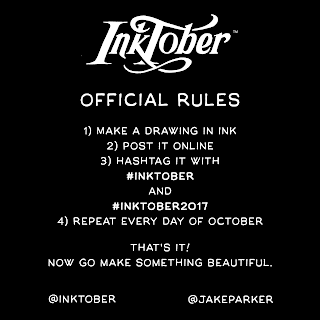 By including the hash tags #InkTober and #InkTober2017 with wherever you post your work online it can also help get your work in front of more eyeballs. This annual event has grown to include thousands of artists worldwide. There's even a T-Shirt you can buy (which unfortunately doesn't ship in time for day 1 but mine should be here soon). I'm participating in the challenge using the 'digital ink' of my Parblo Coast 22, pen display tablet and a copy of Clip Studio Paint EX. Limiting myself to only the simulated ink tools of that software. 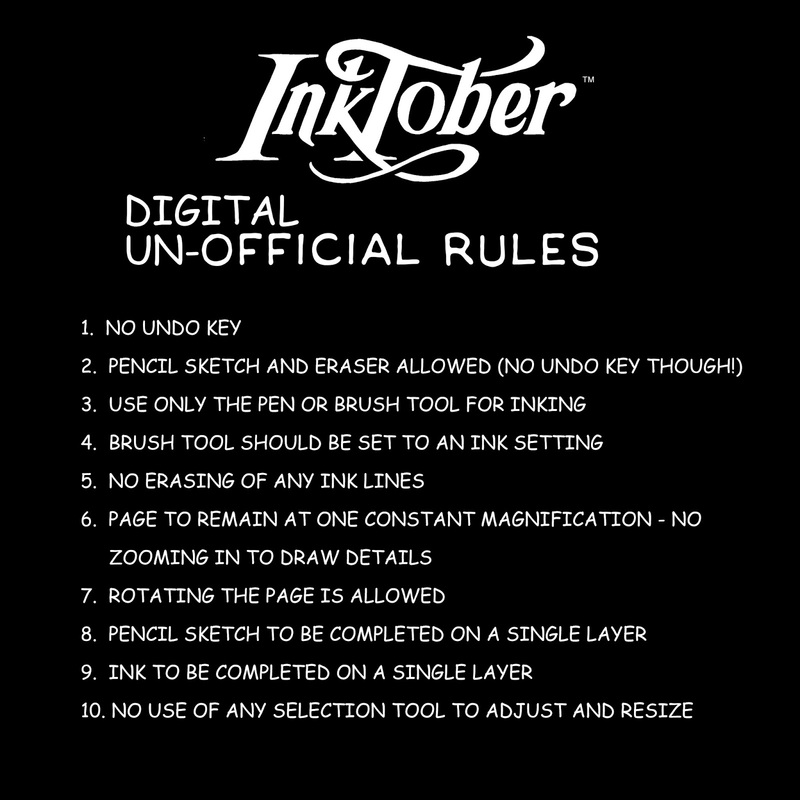 Some people, including creator, Jake Parker, feel that digital inks aren't in the spirit of the challenge (yet the official site has a partner promoting digital ink as an option - go figure) because they believe digital inking is easier in the sense that you can easily erase lines just by hitting the 'Undo' button. There's no commitment to a line once you've drawn it therefore it's not as challenging. Fair enough but I've been inking traditionally on paper for close to 40 years. There's probably things I could still learn but it would be wasted because I just don't draw with inks professionally anymore. Virtually everything I've drawn in the last two years that looks like ink has been digital. I have no interest in traditional inking... not even for the nostalgia. Despite that, my digital inking isn't anywhere near as good as what I can do traditionally. I rely heavily on the fact that Clip Studio Paint lets me ink with Vector lines that can be adjusted endlessly into an entirely different drawing if you wanted to be that extreme. 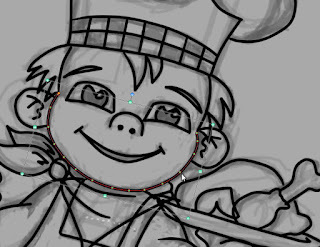 I usually digitally ink by drawing all my lines in really quickly, then I go back an edit every one of them into place. No commitment to any of my lines and it makes inking take longer than it should. What I would like to do is draw a line once and move on, no editing, just like traditional inking. It'll save me a bunch of time with my art moving forward. 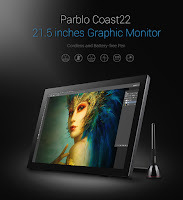 You'll notice I do allow creating a pencil sketch first as this is allowed according to the official site - and I don't know too many professional artists that don't work from a pencil sketch, either inking over it directly or tracing it with a light box. If you feel like you don't have enough inspiration for 31 consecutive drawings you can use the optional list of daily themes. 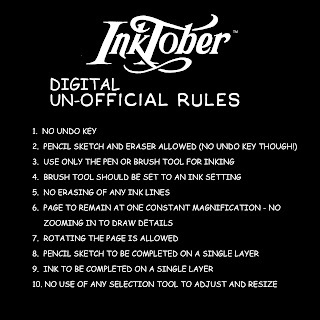 I did consider this list, and I may look to it if I'm really struggling, but I think I could easily pull 31 characters from my previous 30 years plus of sketch books to ink if need be. At the time of this article I had completed my first two days of InkTober. If you would like to follow my progress you can see all my drawings on my Instagram or, if you want to see me actually drawing, visit the playlist on my The Extraordinary Tourist Youtube channel. I've also embeded my Youtube playlist in the player below to save you leaving this page. Click the menu in the top left to see a list of videos. To complete InkTober 2017 I created this one minute video (below) to showcase all 31 InkTober artworks in under a minute. View this if you would just like an overview of all my artworks. If you would like to know about any specific artwork in more detail, find its individual speed draw video in the playlist above, where you can hear commentary about the work as I draw.